The ARTbar Studio/ARTstarters - Illuminated Letter: The Story of You! Illuminated Letter: The Story of You! The Story of You . . .
We will start our session with a reflective time that will guide you to create a short story about you. 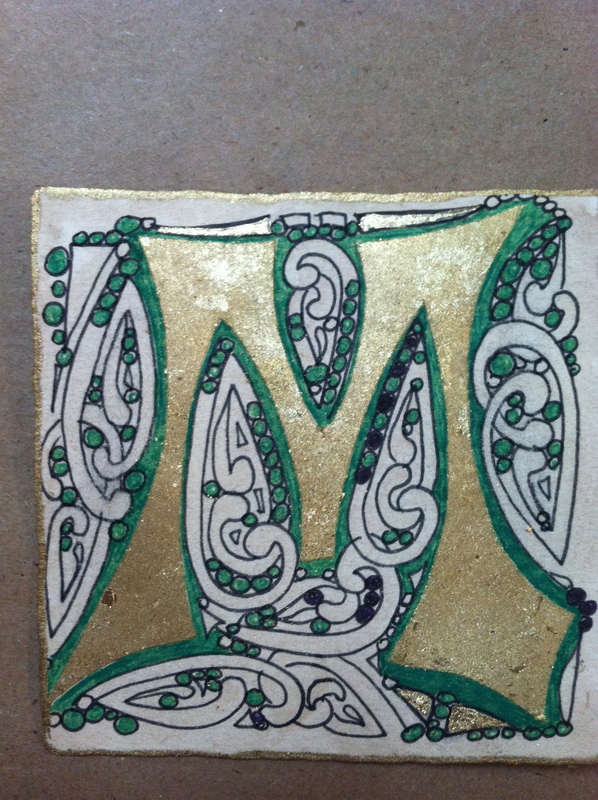 After that we will learn techniques for creating our illuminated letter: walnut ink (for aging) and gold leafing, along with the Zentangle pattern called Mooka. for both returning Zentangle graduates and those who have never Zentangled before -- all are welcome! No experience required! You will leave with a completed "Illuminated Letter" along with a story to help you remember who you were created to be!